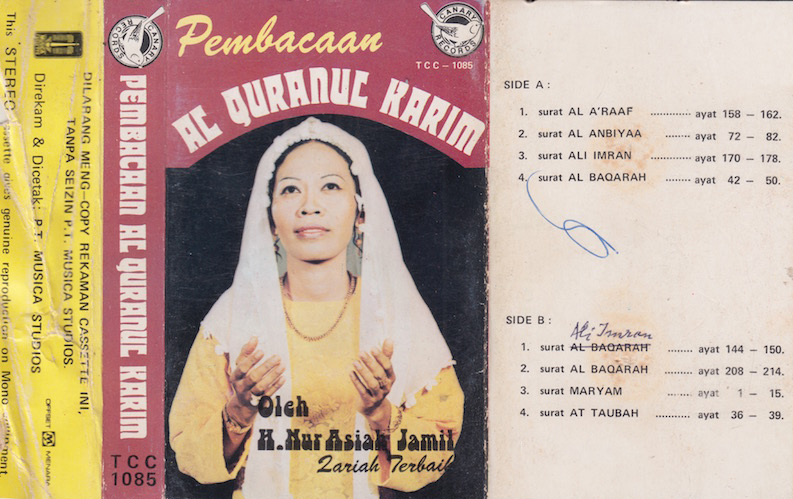 Three hours of religious + ecstatic music from Egypt, Indonesia, and Pakistan. ...my advice is don't eat twinkies! ...Errands done for this everning - & Gary's got some wonderful - was that Turkish music before your theme? RevRab! Steve! Melinda! Sarah! .... @RevRab, that last music was Indonesian! Howdy, Gary and all!! All in for religious and ecstatic music tonight! @Sarah -- the OOO KAY = Oklahoma? ... Hi, James! Options for (and in some cases by) white Americans: Sacred Harp hymns, choral works by Morten Lauridsen, the amazing collection of gospel music recorded by Arhoolie in its Sacred Steel series, and sacred cantatas by honorary white American J.S. Bach. I need to hear those! See if you can Trump us. This stuff is sonic hashish. Incomparable. Alright, a rare Wednesday evening where I don't have to skip out early. Heya Gary. Hi Gary, I finally made it back to listen to your great music! Speaking of Batman ... it's Burt Ward's birthday today. Happy Birthday, Robin! HI NoDak Bob! All is well here Gary. Great weather, lots of flowers in blossom in the garden. Hansel has been diagnosed with canine Cushings disease. Will be putting him on a holistic medicine to alleviate some of his symptoms. He is 14.5 years old but still a great, sweet little doggie. Today's been all Salif Keita, Youssou N'Dour and Cheb Khaled, so my ear's 'in' for this. Peter! So nice to see you round these parts! Love and healing vibes to Hansel. Apparently Burt Ward is a dog lover too. Respect! How many of you fine people would be down for an Oum Kalthoum marathon some day -- like 12 hours or 24 hours or whatever we could squeeze in between other Drummer Stream shows? I wish every damned FMU-J was their own damn 24/7 stream. We'd have to play 8 hour-long songs when we slept! Sabri Bros! Showing Nusrat how it's done. I want to hear Koalas doing Qawali. God is great. God is a Eucalyptus. And Coojee Bear is his prophet. This is Rolf with Coojee....well known to Australians of a certain age. Hyde! You can join in ... know how to play the pandamonium? Thanks for the great music tonight Gary......signing off......going to go rustle up some grub! Have a great night, Mom -- talk with you soon! I googled the translation of 'Ab Ke Saal Poonam Mein' and apparently in English it's 'Ab Ke Saal Poonam Mein'. Thank you internet. Koalas and Red Pandas are from the genus OMG Supercutus. i know, i read the panda's thumb! related fun fact: i used to deliver stephen jay gould's mail. @Gary, an uber-marathon show would be quite a thing. I vaguely recall several of the on-air DJs did an all-day raga-fest, possibly Friday's crew, many years back, but I'm hazy on it. @ljfw hmmm, can't say i remember that one. sounds good! Abida Parveen and Nusrat Fateh Ali Khan are the Ruth and Gehrig of the Qawwali big leagues. So transcendent. Bittersweet to hear it in the wake of Amjad Sabri's assassination. so who's the Ducky Medwick of Qawwali? Doug! Yeah, that was horrible. Horrible. So much horrible this month. And then Alton Sterling yesterday. Such hideous times we are in. And for some, sickeningly, business as usual. @hyde: that's funny about Stephen Jay Gould's mail. @melinda my mail routes were all around Harvard Square, so i had a few famous people and nobel prize winners. B.F. Skinner, Amartya Sen, Gyorgi Kepes, Yo-yo Ma. Late but here! Good evening Gary and everyone. I just found some musicology/ music podcasts from the Ottoman history podcast that deal w/Armenian and Kurdish music (it mostly deals w/ history and other cultural aspects). I'll send you the link once I'm near my laptop again. wow, Mayuko, coelacanth and ngh. it's a huge late influx of board talent! Thank you for saying it out loud Gary. board talent, haha! not that I don't agree. Gary, maybe if everyone who's capable of Love concentrates together the barbarians will open their eyes. This "Ya Salam" is amazing. I had to cut away to watch the launch of a Soyuz craft taking a new crew to the ISS - funny watching all the online comments roll in claiming it was all fake. Total treat Gary,thanks for sharing! Hi Doug, hope things are going well! Everything's great here in Maine, geezerette! What an exquisite show, Gary! Thanks Gary! i'm so glad i caught all that indonesian music. it is wonderful!